First ever salt water tank (first ever fish tank!). 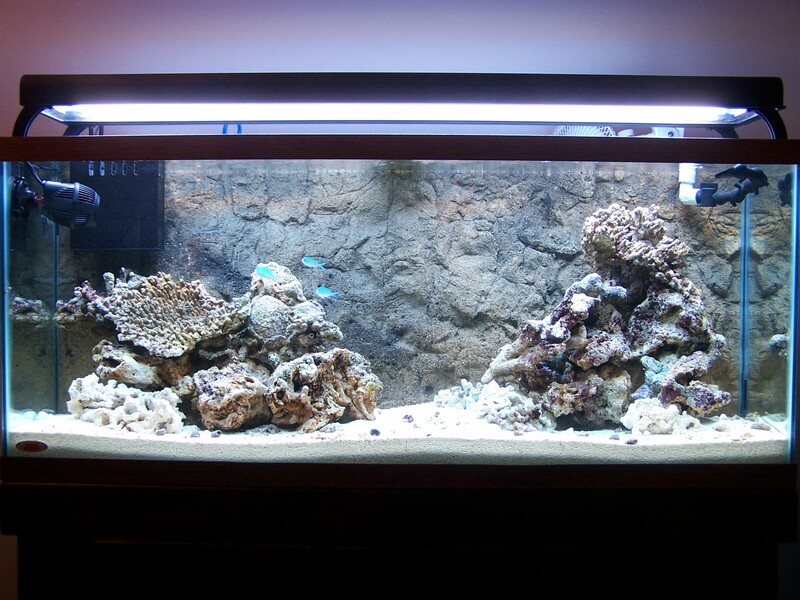 47lbs live rock, 5lbs bare rock, 37(ish)lbs aragonite, 1lb live sand to seed. Stir and wait 6 weeks. Then add 3 Blue/Green Chromis and 12 Hermit crabs.